Translating a pertinent phrase from one language to another is always accompanied by challenges! 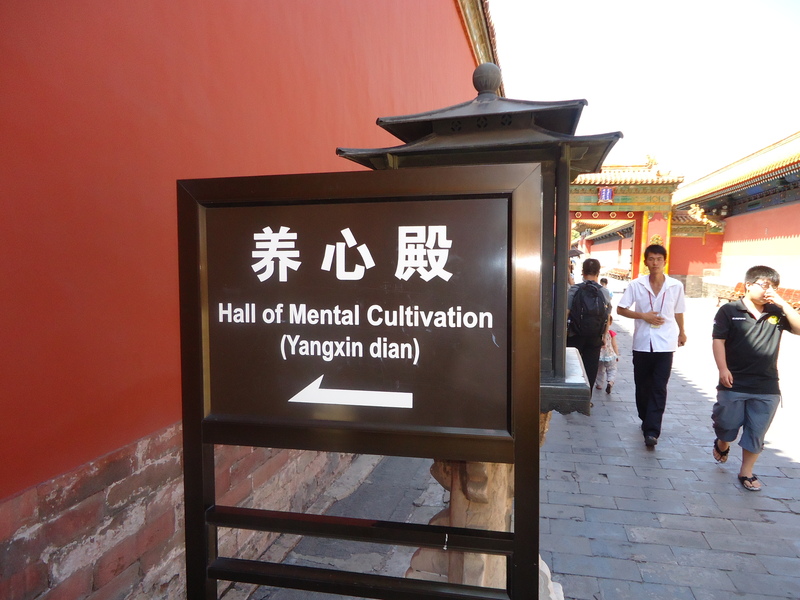 This sign I saw in the forbidden city in Bejing a few years back though, is one of the better examples and has left a lasting impression with me. “Hall of Mental Cultivation” has a beautiful ring to it. ‘Hall’ – not room or closet or corner but ‘hall’, which immediately conjures up for me a wide and roomy space, yet defined because a ‘hall’ provides warmth and comfort. ‘Cultivation’ takes me down the process road as opposed to the ‘want it now’ attitude, and as a former nurseryman I can relate to ‘cultivation’ just like any fruit or vegetable grower. ‘Cultivation’ talks of effort, of skill and of patience. None of that instant gratification nonsense we are exposed to so often these days. We could all probably do with at least a virtual version of our very own Hall of Mental Cultivation to keep us on the straight and narrow as the pace of change and the speed at which business is conducted is increasing. Posted: March 28th, 2018 under Produce.